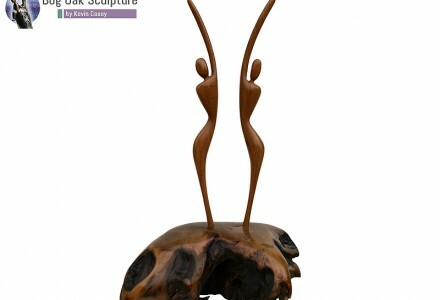 Within Kevin and Michael’s range of unique bog oak and bog wood sculptures are creations that are very popular and suitable as retirement gifts. 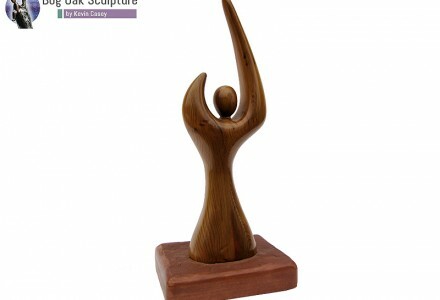 Many of the smaller bog oak and bog wood sculptures are created around a theme but each finished piece is unique by virtue of the fact that each piece of wood used is 100% unique. The radiocarbon dating for bog oak shows us that these pieces of timber are over 5,000 years old. 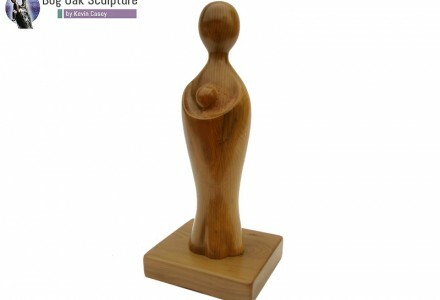 After they have seasoned for many years and then sculptured by hand by Michael or Kevin, they become objects of great beauty – mystified further by their great age and connected indelibly to Irish culture and landscape. Very often when choosing a retirement gift for a colleague you like to choose an item that reflects their personality or interests. 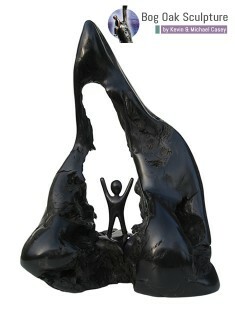 Our sculptured gifts often have clear connections with sport for example or with nature. Our ‘Salmon of Knowledge‘ sculpture would work equally as well for a male colleague interested in fishing as it would for female colleague interested in reading or Celtic Mythology. Indeed, the clear connection between bog oak, Irish culture and tradition makes it a wonderful and appropriate retirement gift for any Irish national. 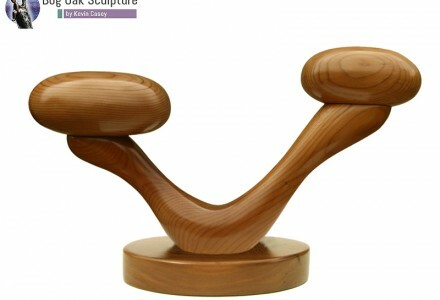 View Kevin’s bog wood gift gallery | View Michael’s bog wood gift gallery.